If you want to serve something special for breakfast or brunch you found a great pie that will wow your guests. 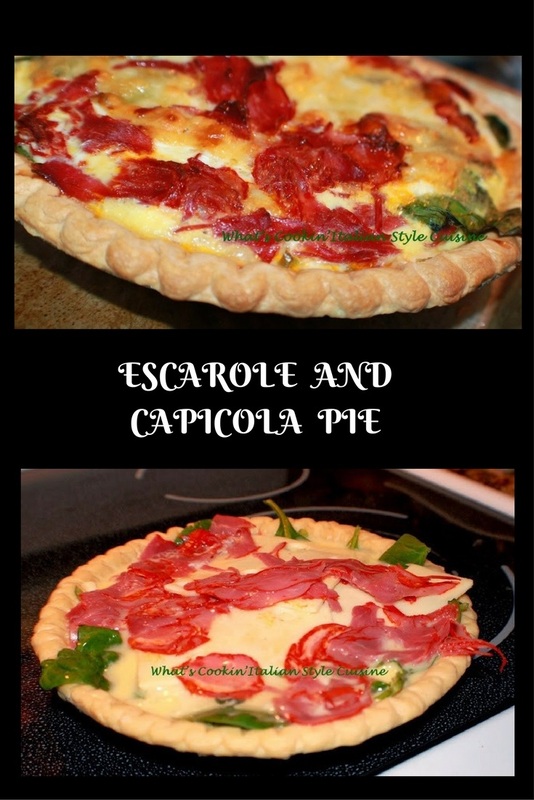 This Italian Escarole and Capicola Breakfast Pie is bursting with flavors! 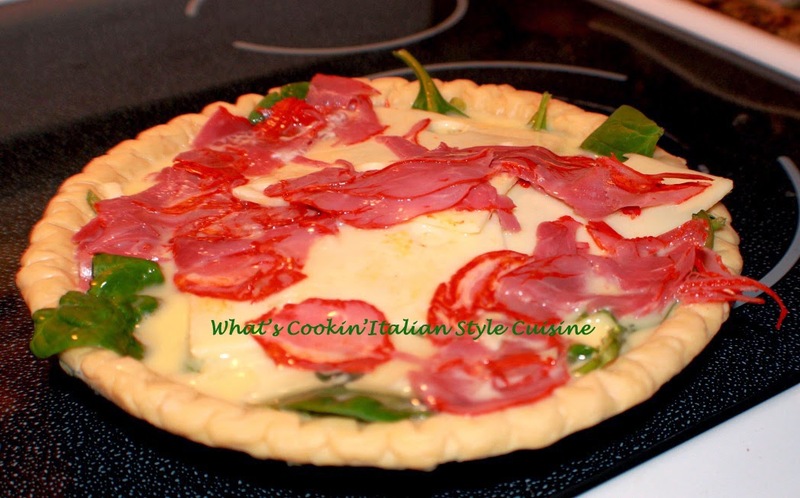 This Italian style pie is bursting with flavors and often made in my hometown Utica, New York also often referred to as "Little Italy". The bakeries and pizza along with fish fry are fabulous But don't take my word for it go see for yourself! 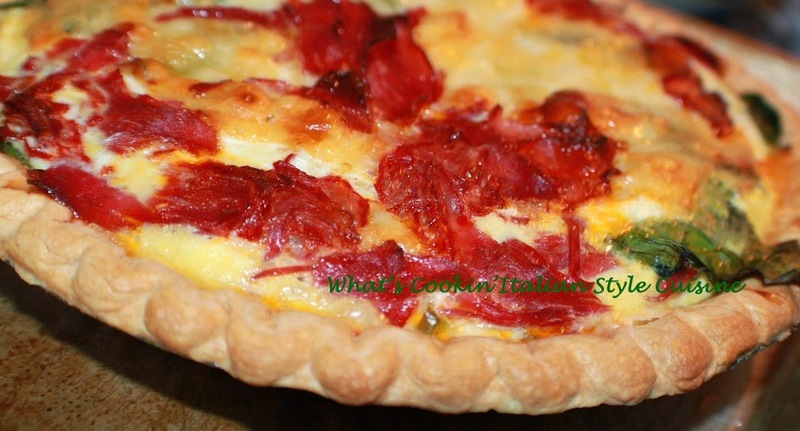 Visit my hometown Utica, New York, but first make this delicious breakfast pie! Growing up in an all Italian city just about and household, these were staple ingredients in our household. Mom also had a deli at one time before I was born, so we really had it made when it came to Italian cooking, she was as all mom's in our eyes, the best. I miss her and the marvelous dishes she whipped up. This is now considered gourmet and back when I was growing up it was a good inexpensive meal to feed the family. In a bowl mix the eggs, milk, grating cheese, spices and set aside. Place the fresh drained and boiled escarole on the bottom pressing them down and any other optional items listed above. Add the cheese on top then the meat. Pour the egg mixture over the top. You can add more garlic and sprinkle more grated cheese on top. Bake on 350 degree hot oven until browned on top and the middle doesn't shake anymore. Around 45 to 55 minutes.